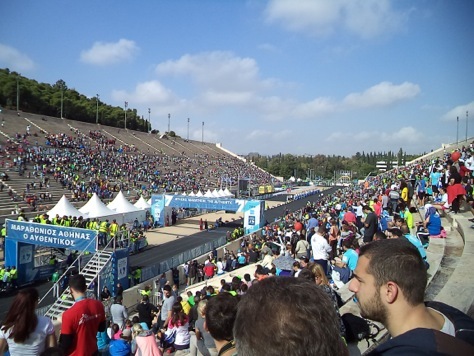 Apostolos greek tours guarantees your entry in the Athens marathon with our packages. Also included is the race entry fee and processing. If you are not interested in our packages and only wish to register for the marathon on your own please go to www.athensauthenticmarathon.gr/site/index.php/en/registration-en/race-registrations-en. On the other hand, if you would like some help getting the most from your Marathon experience, we offer several tour packages, one of which is certain to be right for your schedule, budget and travel preferences. All major cities can be complicated and awkward to the first time visitor. Since 1994 Apostolos Greek Tours has offered runners a way to avoid the hassle of foreign travel and concentrate their energy on what’s important — running and enjoying the many wonderful things Greece has to offer. Our tour packages are fine tuned and designed for different durations that fit’s all runners schedules. Runners have unique demands and interests that cannot be met by simply booking their own hotel room and basic sightseeing.